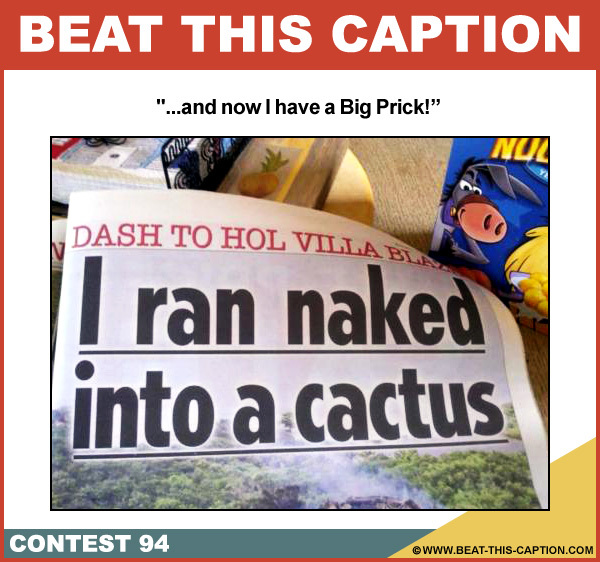 Beat This Caption Contest 94 – Caption Contest Funny Clever Witty Enter Today! …and now I have a Big Prick! May 13th – May 19th 2012.